Younger Kids In Class May Be Overdiagnosed With ADHD : Shots - Health News Younger kids in a classroom appear more likely to be diagnosed with ADHD. Researchers suggest the findings show a bias that penalizes slightly younger kids for acting their age. It's hard to turn around in a school these days without finding a bunch of kids labeled with attention deficit hyperactivity disorder. Now research being published in the Journal of Health Economics suggests the diagnosis may be overused and may be commonly applied in error to the youngest kids in class, who are simply acting their age. The bias in diagnosis could affect as many as one million kids, one researcher estimates. A team at North Carolina State University found differences in diagnosis and treatment rates depending on the age of children relative to their classmates. Kindergartens who are the youngest in their grade are 60 percent more likely to be diagnosed with ADHD compared to the oldest kids in the grade, a second study from Michigan State University finds. Both studies took advantage of cutoff dates at schools, which can lump kids differing in age by as much as a year into the same class. The researchers at NCSU looked at thousands of children, ages 7 to 17, while a Michigan State economist looked kindergarten-age kids. Both research teams conclude that misdiagnoses might occur because a child seems less mature when everyone around him or her is older. The important takeaway is that doctors should "diagnose kids according to their age and not their grade," says Todd Elder, lead author of the Michigan State study. Teachers might want to take special note, he says, because they're usually the first to suggest to parents that their kids be checked for ADHD. Erroneous diagnoses can cause problems down the line. Once kids hit fifth and eight grades, the youngest ones are almost twice as likely to be prescribed stimulants, like Ritalin, to manage ADHD symptoms, according to Elder's analysis. Stephen Faraone, who heads up child and adolescent psychiatry research at SUNY Upstate Medical University in Syracuse, N.Y., tells Shots that Elder's study methods are solid. "It's a clever way to look at the issue" of misdiagnosis, he says. Still, more work is needed to accurately conclude that younger kids in the classroom are being overdiagnosed with ADHD, Faraone says. 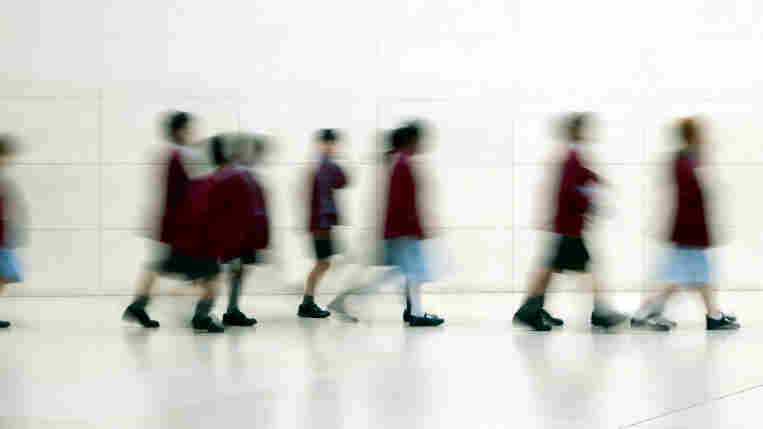 Researchers would need to "take those kids and have them blindly evaluated by a psychologist." Faraone notes, for instance, that the Michigan State study acknowledges that the results could also mean that some older kids are being underdiagnosed with ADHD. All that said, he suggests that parents might want to take a teacher's report of ADHD tendencies with a grain of salt.